Finally, Whatsapp has implemented a very good update on their platform. 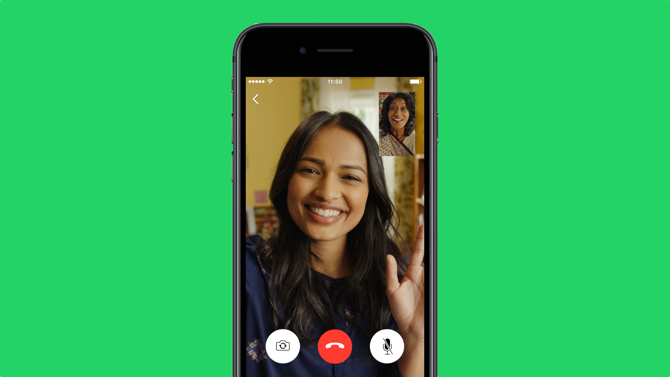 You and I can now make Group Vide calls and Voice calls on whatsapp. This new feature was announced this week and this is really a long-awaited feature. Since May 2018, whatsapp has been making efforts to improve group messaging on the platform and this has really proved to be a great success with the new features they have implemented on their application like - The Admin Power Feature. There are such-like feature whatsapp released and they can be found on this site uchetechs.com. To use whatsapp group call, you have to begin with a one-on-one voice or video call, then tap on the new "add participant" button in the top right corner to bring more group members to the call group. Note, the calls will be end-to-end encrypted which means that this secure connection will prevent third-parties from accessing data or tampering with it when it is being transferred from one system to another. In addition to the calls being end-to-end encrypted, whatsapp also included that this new feature will work perfectly around the world, even when there is a very bad network connection or bad weather. This new feature will be rolling out both on Android and iPhone versions of its app. One new beneficial feature Whatsapp also included is the message-labeling feature. This will help determine fake and forwarded messages which are irrelevant and doesn't call for attention. Just like, Telegram, if a user forwards a message which wasn't really composed by the user, there will be a label on the post and this will let the user know if it's spam or not. What whatsapp said concerning this new label feature, "will help make one-on-one and group chats easier to follow. It also helps you determine if your friend or relative wrote the message they sent or if it originally came from someone else."